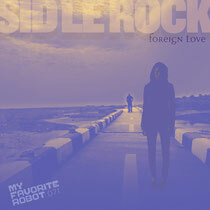 Ahead of the release of his latest artist album, Sid Le Rock drops ‘Foreign Love’ on My Favorite Robot Records backed with remixes from Acid Pauli and Brett Johnson. Sheldon Thompson AKA Sid Le Rock originally hailed from the Northern extremes of Ontario, Canada, where his search for meaning led him to discover techno in its spiritual home, Detroit, before moving to musical hotbed Toronto and finally settling in the Berlin where he now resides. Thompson’s music to date has been released through labels such as Shitkatapult, Mute, Ladomat 2000 and My Favorite Robot Records for whom he debuted early in 2012. Now Sheldon looks forward to his fourth Sid Le Rock album due on MFRR next month and as part of the build up sees here the release of lead single ‘Foreign Love’. The single kicks off with the original version, an intense, pulsing slice of electro/techno that brings together a great running arp line with atmospheric pads, spacious percussion and sweeping FX to provide the sound-bed for Thompson’s vocals. The first of the two remixes comes from Smaul Recordings boss Acid Pauli who turns in a spacious and ethereal mix that journeys into the realms of laidback electronica with its understated synth loops and measured pace. Finally US producer Brett Johnson steps up to deliver a bass driven, underground house reworking that fuses the original parts into a version that draws on the sounds of early Chicago whilst keeping its feet firmly planted in 2013. It’s out now.